After the Second World War, the United States was the first manufacturer of the reel to reel tape recorders and the wire tape recorders. 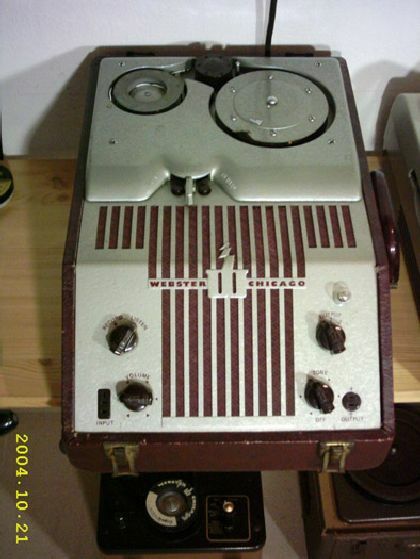 The WEBSTER CHICAGO 80 is an american wire recorder too, it has well-done. It could be used by the reporters. The Hungarian Radio has used some pieces of this model in early 1950s.